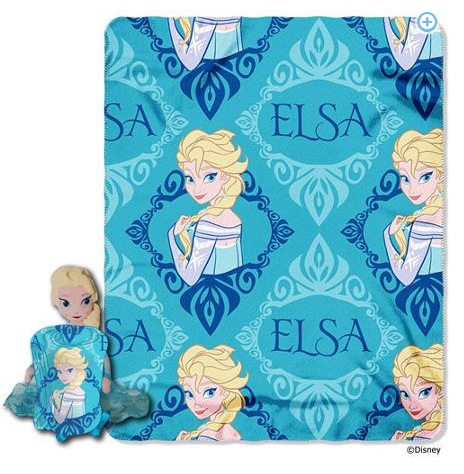 Disney's Frozen Elsa Character Pillow and Throw Set Just $9.96 + Possible FREE Store Pickup! You are here: Home / Great Deals / Disney’s Frozen Elsa Character Pillow and Throw Set Just $9.96 + Possible FREE Store Pickup! Disney’s Frozen Elsa Character Pillow and Throw Set Just $9.96 + Possible FREE Store Pickup! Oh, my daughter is going to love this! And what a deal! Right now we can score this Disney’s Frozen Elsa Character Pillow and Throw Set for just $9.96 + Possible FREE Store Pickup if available in your area! You get the plush and the throw for this price!